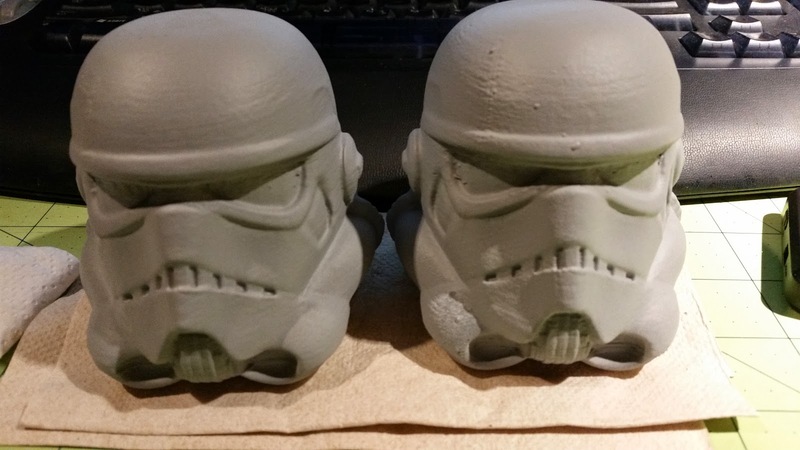 The helmets turned out pretty well at 200 microns layer height. 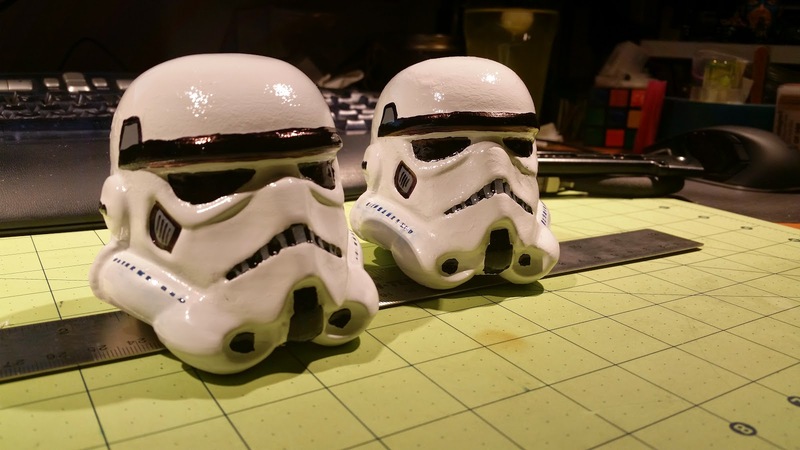 I printed them out using 3d2print's White filament. I then decided to try and see what sharpies would do on the raw prints, and sadly through capillary action the ink was sucked out of the areas that I initially colored it, so I decided to "finish them off". I then used a some automotive auto primer and filler and that worked pretty well to fill in the lines and needed a little sanding. Once sanded I put a few too many coats of gloss white on them, and either the weather or temp, or just too many coats ended up with not the best finish, and time being what it was as the birthday was fast approaching, I attempted to fix it the best I could and at the very last minute slapped on some model paint for details. Certainly not my best paint job, and kind of embarrassing considering what level I used to paint to. (I used to paint minis all the time for my various RPG's and Battletech.) But its the thought that counts right! :) If I had more time and used my airbrush for some details I think i could have done a way better job! Well next time! If you have any questions feel free to contact me!